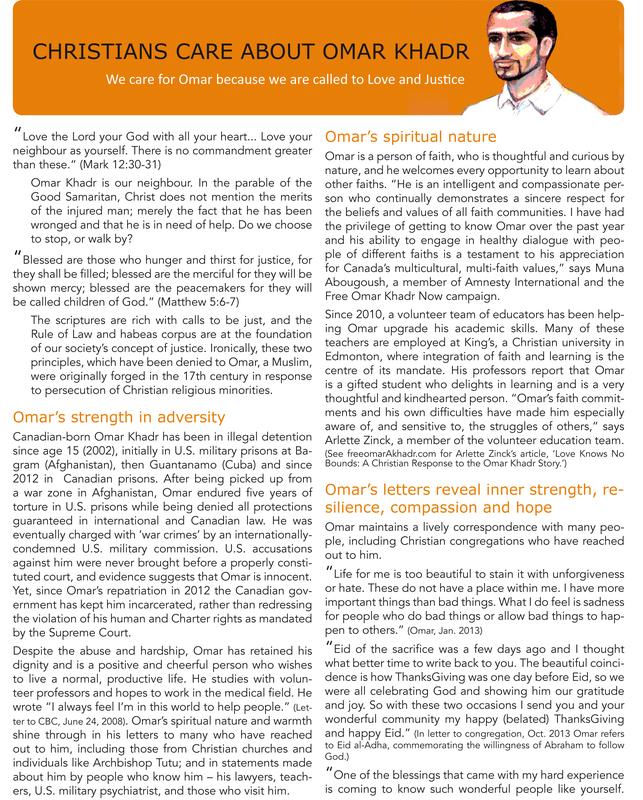 “Christians Care About Omar Khadr” [link to printable pdf] is a 2-page handout. It states, “We care for Omar because we are called to Love and Justice” and reveals much about him — his spiritual nature, his strength in adversity, his resilience, compassion and hope. It quotes from people who visit him including his teachers, from his letters to members of churches and others, and from people like Archbishop Tutu and Romeo Dallaire.